The search is over: we’ve found your perfect make up match. This universal, does-it-all powder brush is specially designed to work with all your favourite products – we’re talking foundation, concealer, powder, contour, bronzer, blush and highlighter. Crafted from vegan-friendly, cruelty-free synthetic fibres and all dressed up in a sharp little bow tie, you’ll never stray to another brush once you’ve found Mr. Right. 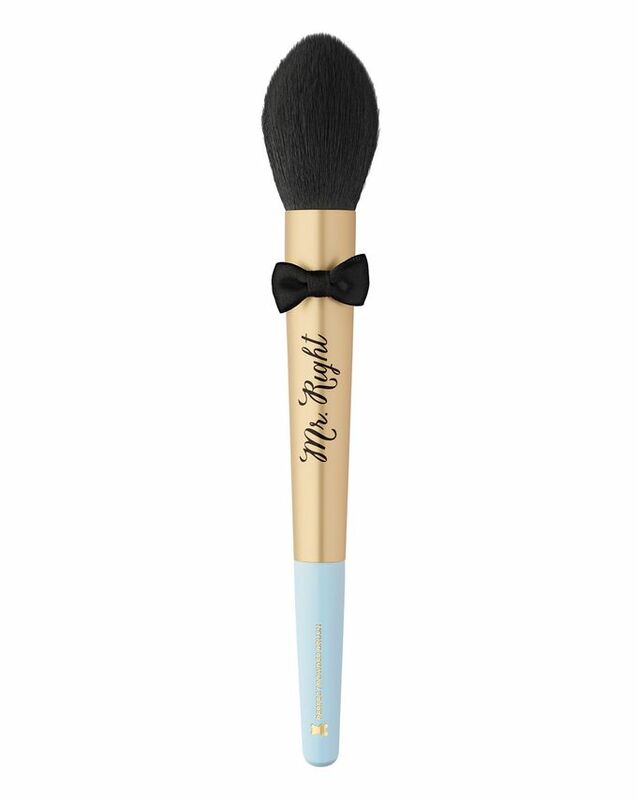 The wilderness years are over: we’ve found your Mr. Right… and it’s this does-it-all powder brush. Crafted from cruelty-free, vegan-friendly synthetic fibres, this dashing make up brush is designed to work with all your favourite products – whether you’re blending foundation, precisely applying concealer, swirling powder or deftly sweeping on bronzer, blusher, contour or highlighter. Primarily suited to powder, it can also be used on wet formulas as well as dry and, with its blue and gold handle and sharp little bow tie, it’s the cutest make up eye candy we’ve seen in a long while. The gentle taper is perfect for sweeping along smaller crevices when setting undereye concealer or creating a precise contour. Mr. right they say?! I have finally found him! Slightly pricey but definitely worth every penny! This brush is definitely a ‘must have’ in everyone’s kit! I use it mainly for bronzer but it’s so versatile that it can be used with all sorts of face powders; depending on where you grab the brush from to increase or decrease the intensity of the strokes! It's a very good brush for bronzer and blush.